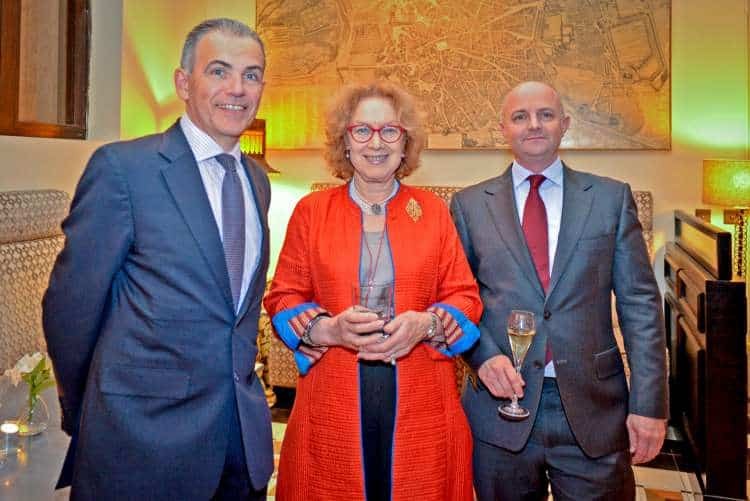 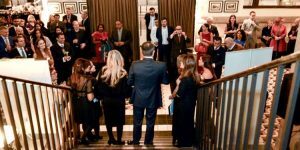 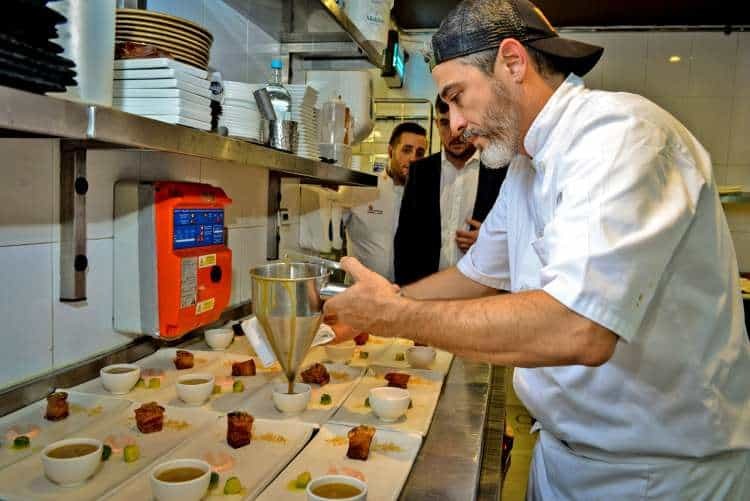 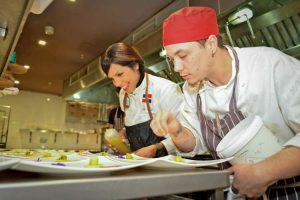 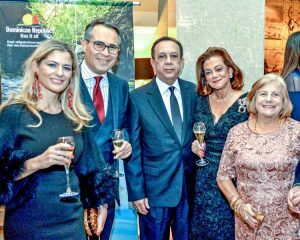 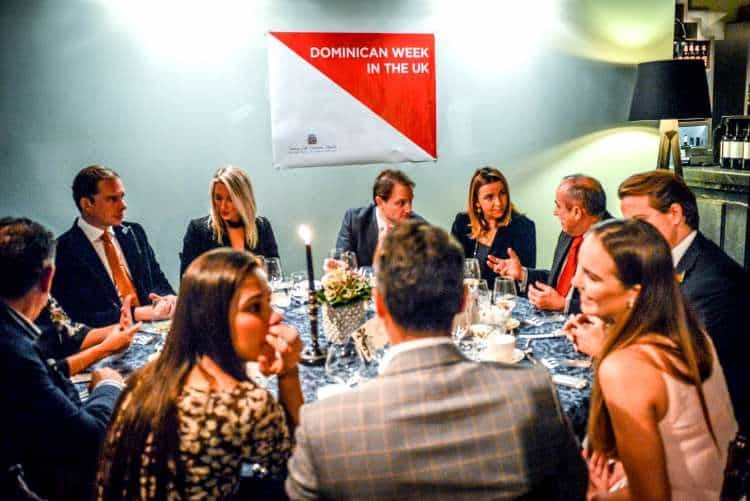 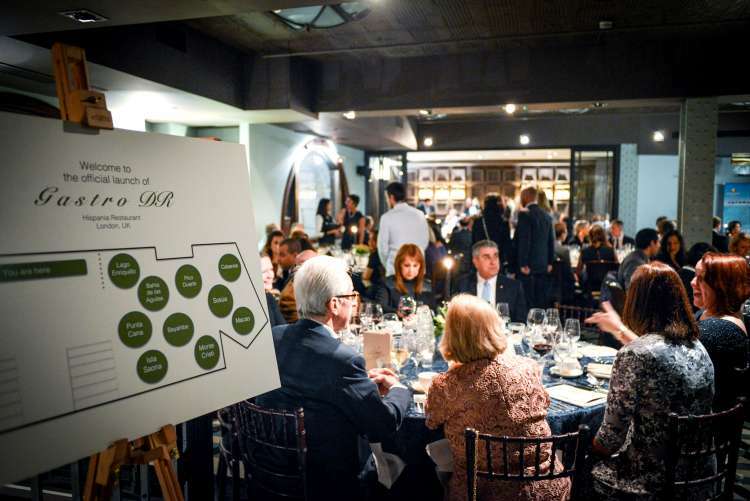 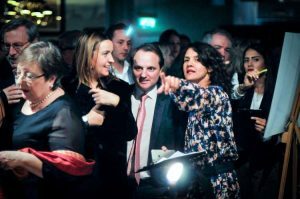 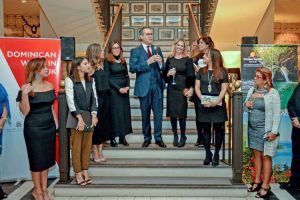 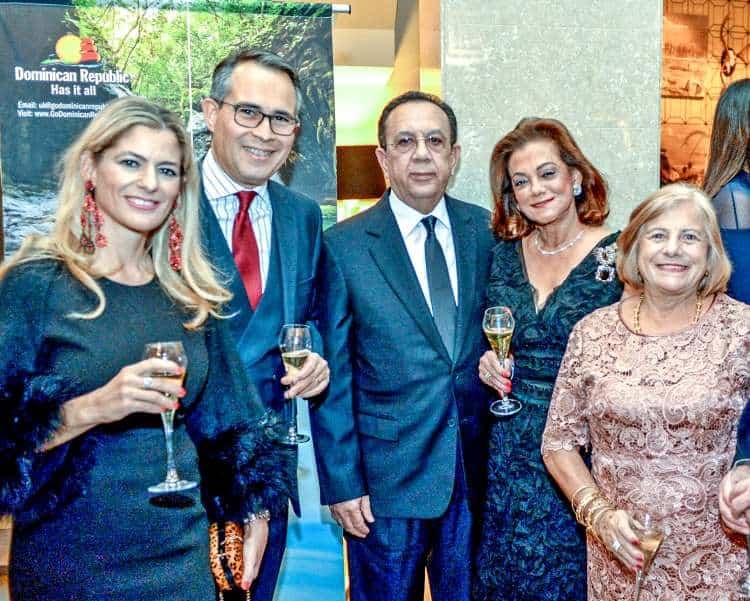 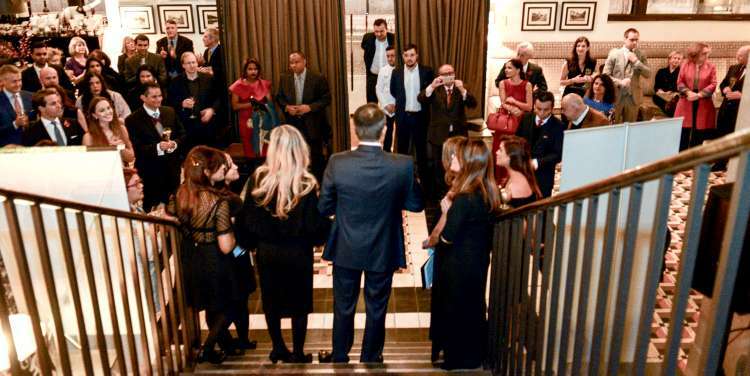 During the 2016 Dominican Republic Week in November, the country’s Ambassador to London, H.E Federico Alberto Cuello Camilo and his wife Natalia Federighi de Cuello, invited selected guests to an inaugural event to launch the Dominican gastronomic network – GASTRODR. 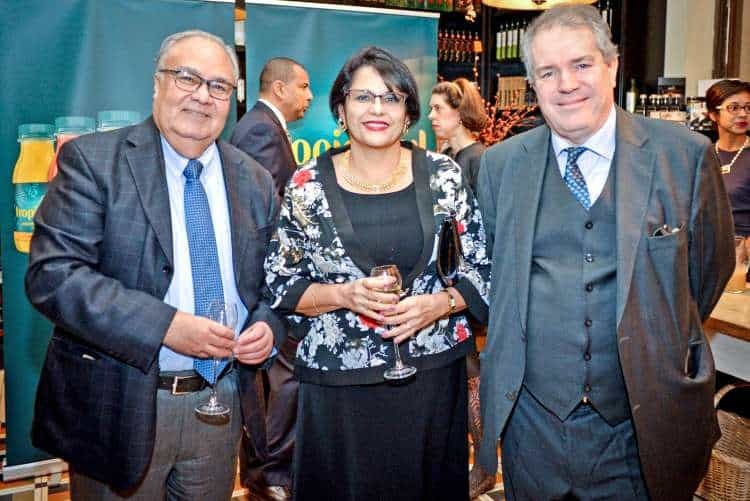 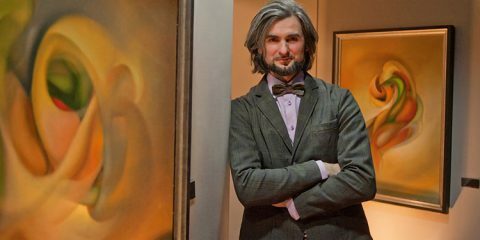 Kreol Magazine was among the guests at Hispania restaurant, in Lombard Street, in the heart of the City of London’s Financial sector. Ambassadors, hoteliers, parliamentarians, journalists, and food critics were the privileged guests to experience a taste of what the Dominican Republic has to offer in culinary terms, when they enjoyed a seven-course meal prepared by some of the country’s top chefs at London’s Hispania restaurant, last November. 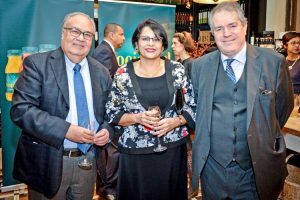 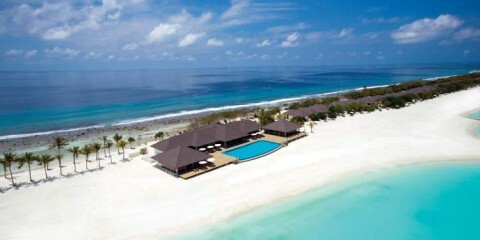 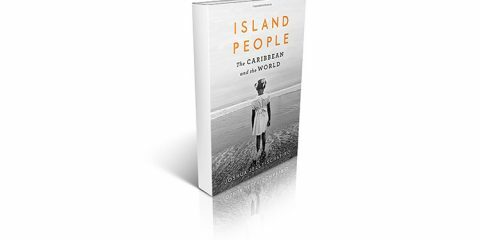 The aim of the dinner was to help promote the gastronomic delights of this small Caribbean island which is perhaps better known for its beautiful beaches and resorts than its food. 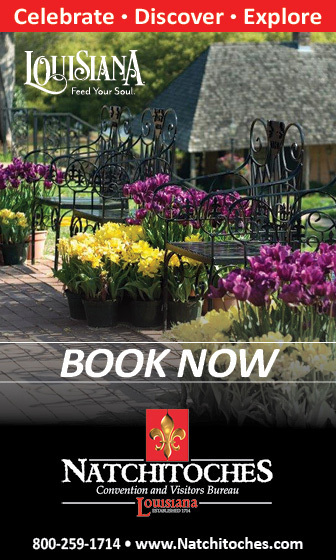 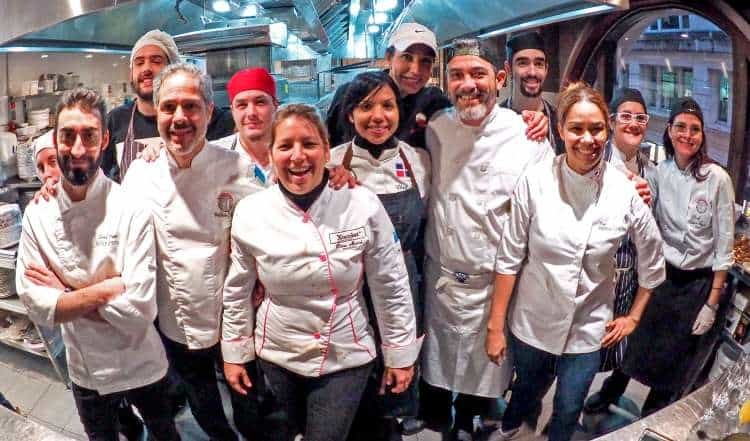 All courses were cooked by seven highly regarded Dominican chefs, who are founding members of GASTRODR: Carlos Estévez, María Marte (winner of two Michelin stars), Diana Munné, Inés Páez (Tita), Gabriella Reginato, Laura Rizek and Emil Vega. 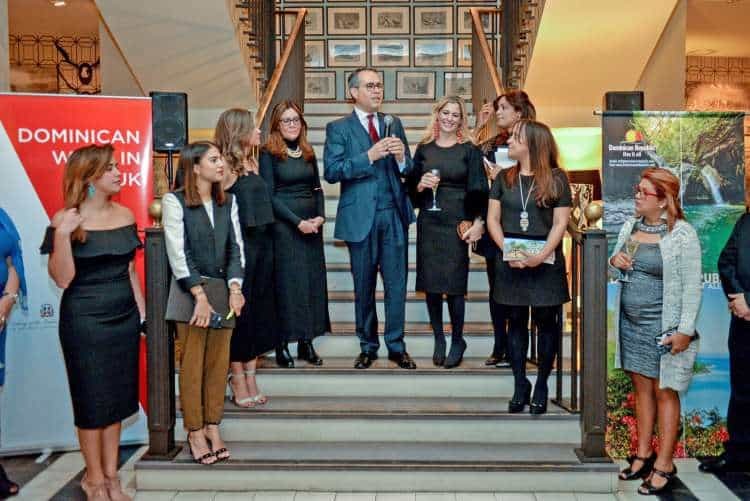 Welcoming guests with a delicious cocktail of Dominican rum, infused in ginger and tamarind, and rimmed with cayenne sugar, Ambassador Cuello Camilo explained why it was decided to host the inaugural dinner in London. 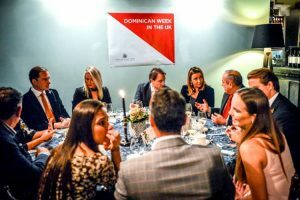 Warmed through by the rum cocktails, guests enjoyed an appetiser of traditional island stew served with root vegetables, crunchy rice, Dominican sausage and avocado pork belly chicharrón with achiote–lime aioli. 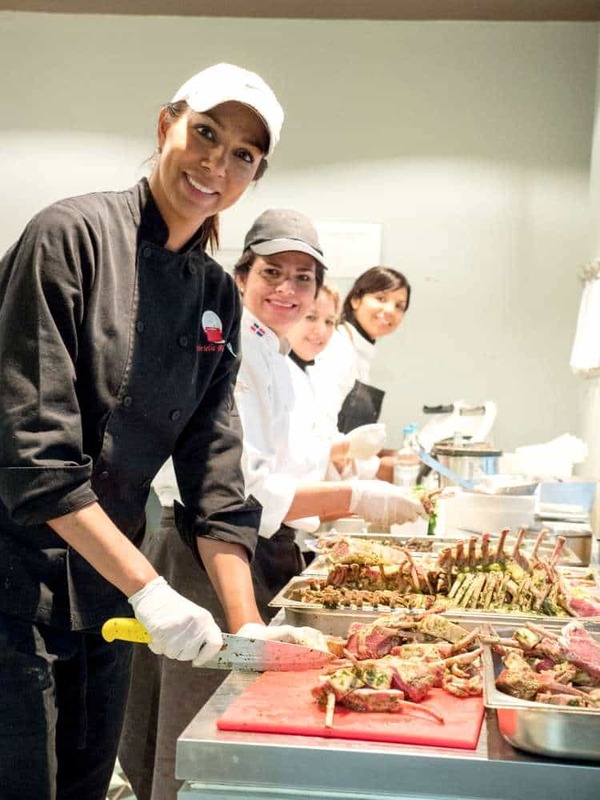 The first course was broiled lobster salad in creole brine, with shallot and cubanela pepper, and Plantain mofongo croquettes filled with Dominican style stewed crab. 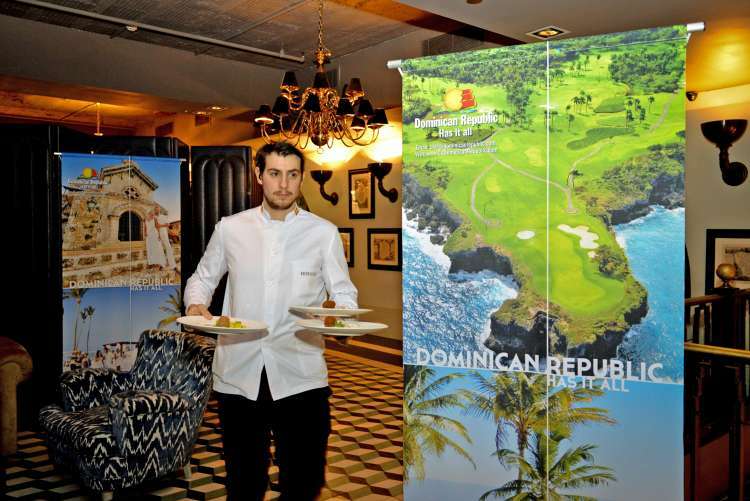 Caribbean red snapper in coconut sauce, with clams and octopus, with pineapple and lime sorbet was served for the second course. 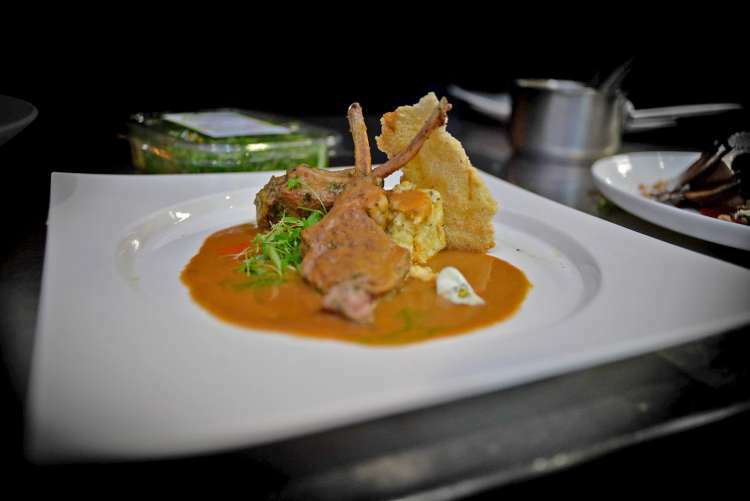 The third course included lamb chops in stewed goat sauce, with chenchén corn and cassava bread, and cilantro oil. For dessert, guests had a choice of organic cacao dark chocolate with coconut macadamia praline; sweet and sour orange ganache; spiced sweet red beans mousse in white chocolate with caramelised sweet potatoes; sweet cheese curds with cinnamon and lime; and coconut corn sauce majarete, guava marmalade and María cookie sand. 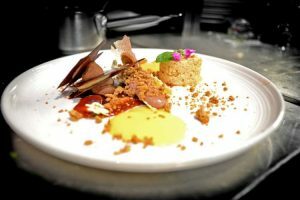 The sumptuous menu, which featured numerous ingredients and food combinations that were new and surprising to the guests, was finished with organic coffee, coconut jalao, sour orange and sweet milk, and guava crystal and fresh cheese. Among the guests was the President of the Royal Academy of Culinary Arts, Sara Jayne Staines, who said that the dinner had been a wonderful way of celebrating Dominican cuisine and that, “The personality, culture, and skill of the chefs was evident through the delicious food” – a sentiment echoed by everyone present. 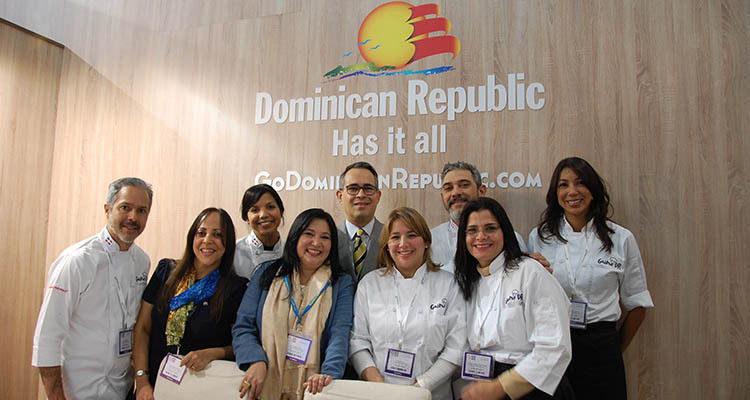 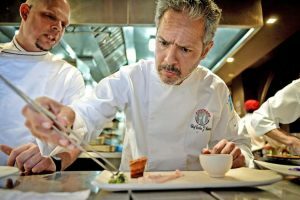 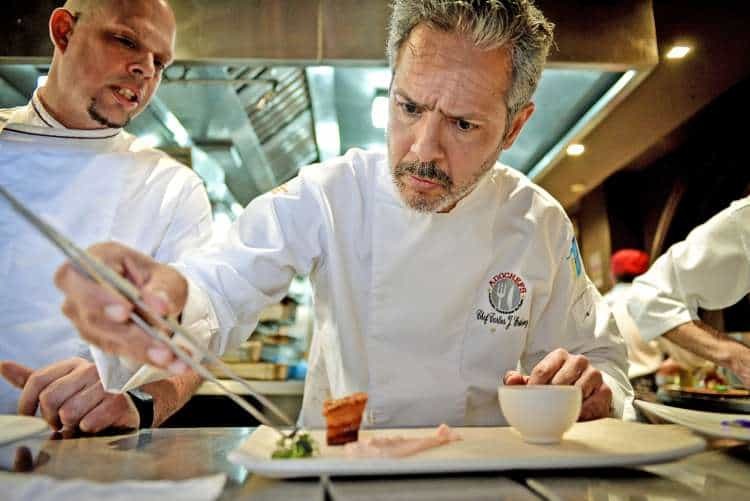 The chefs themselves are determined to take Dominican cuisine to the next level and bring the food of the island to the attention of a global audience. 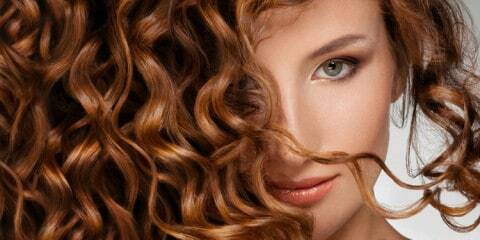 María Marte exemplifies what the network, GASTRODR, is about. 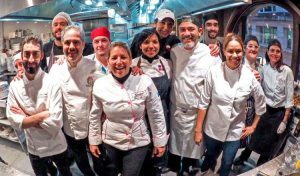 Based in Madrid, at El Club Allard, where she has held two Michelin stars since 2014, and Spain’s chef of the year, in 2015, María says that she strives to present creative dishes that don’t violate or disguise the product while staying close to her Dominican roots. 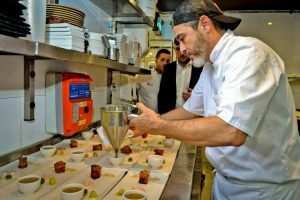 At the end of the meal in Hispania, the chefs personally served the guests with coffee and received a well deserved and rapturous round of applause.